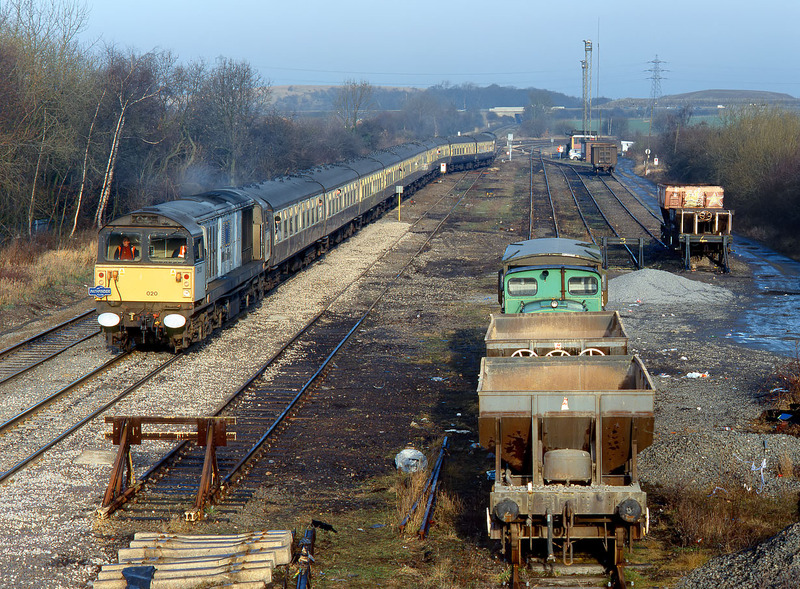 58020 Doncaster Works pulls slowly away from Kingsbury Yard on 12 January 2002 with the Pathfinder Tours 1Z27 07:00 Swindon to Ironbridge 'Grid Iron Grinder' railtour. 56100 is on the rear of the train. The weak winter sunshine unfortunately didn't last very long!